Hello! I was wondering if any TAW members still played Ark Survival Evolved. 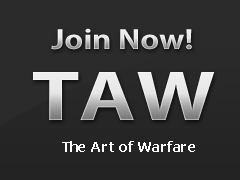 I'm going to start a new tribe/ join a tribe if there is a taw group together, on either an PVE Offical server. If you still play Ark Please Respond below! My Steam Name is aotic2 if you want to add me there.